Let's hear it for book promos! 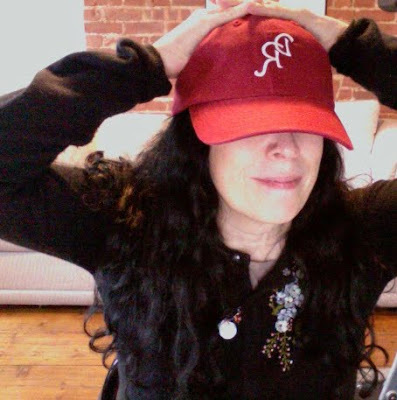 Every author wants his or her book to be noticed and many offer promos--bookmarks, t-shirts, and in this case, the coolest red baseball cap around from Joe Wallace to promote his uber-fantastic novel, Diamond Ruby. Love the book, and LOVE the cap. 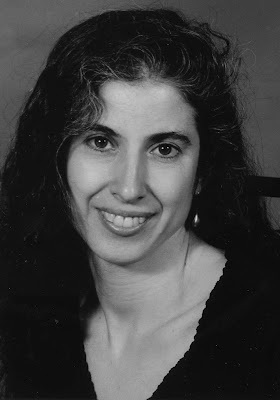 I'm thrilled to have Danielle Ofri guest blogging here. First, because her books are revelatory in terms of creating a narrative about healing, doctors, and patients. 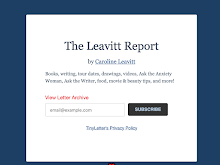 Secondly because my novel Pictures of You would not be here if it wasn't for Danielle and the Bellevue Literary Review who published portions of it, and awarded it a prize. 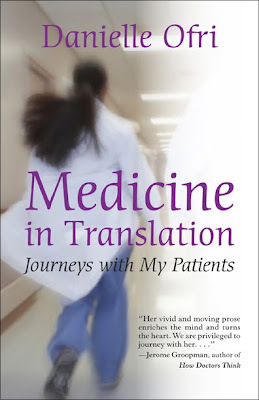 Medicine in Translation is a fabulous read, chronicling Ofri's and her patients' journeys, as they navigate medical, cultural and religious divides. Thank you so much for the guest blog, Danielle! The first book I wrote about medicine, Singular Intimacies, did not start out as a book. It started out as a breather—an exhalation, you might say—after a decade of medical training at Bellevue Hospital. After ten years of exams, hospitals, illness and death, I needed some air. I left New York and spent the next 18 months traveling—doing temp doctor jobs in America to pay off my loans, and then traveling to South America between assignments for as long as the money would last. It was during this hiatus that I began writing down the stories of Bellevue, a life chapter that I recognized was singular, and that would never be duplicated. Then, another decade passed. This one was more sedate on the professional side—the (slightly) calmer life as an attending physician at Bellevue—but more dizzying on the personal side. After getting married, we had a new baby, and then a second, and now I was juggling young children with a job as a doctor, but also writing and editing. I’d always treasured a dream of living abroad for a year. I wanted to learn Spanish so that I could speak with my predominantly Hispanic patients. I wanted to expose my children to another language and culture. I wanted to try to write a novel. After a decade in this new life, I was ready for a break again. We planned for a year in Costa Rica. After I’d resigned from my job, got passports for the kids, took care of our apartment and affairs, arranged for our dog to travel with us, we discovered that I was pregnant. Suddenly we were at a crossroads again. Should stay in New York to have the baby, or should we step out into the unknown? We decided to soldier on, especially once we were able to locate a good hospital in Costa Rica. We arrived in Costa Rica on a hot summer night. Our children were 2 ½ and 4 ½; I was four months pregnant. It turned out to be a wonderful year. Our children attended a delightful preschool that was entirely in Spanish. Our dog relished the sunny mornings stretched out on the Costa Rican grass that was a lot softer than NYC concrete. My husband took art classes. I took up the cello and started the novel. Our baby was born midway during the year and enjoyed seven lovely months of relaxing life in Costa Rica. For all of us, the respite was salutary and delightful. I wrote lots of the novel—more than 300 pages worth—and had a wonderful time doing it. It was about a fictional internist in a fictional city hospital, and the wildly diverse patients he cares for. When we finally (regretfully, wistfully…) returned to New York, my editor and I took a cold hard look at the gestating novel. We finally came to the conclusion that it wasn’t really going to work. However, my editor observed that it was the theme of patients from diverse cultures that seemed to shine the most. So we decided that I would return to nonfiction, and write about my real patients who come from all over the world. I wanted to focus on the cultural, linguistic, socio-economic, and religious challenges they faced in getting their health care in a foreign country. My editor then pointed out that I had just been a patient myself in a foreign country. Although being pregnant and having a baby certainly isn’t as medically complex as truly being sick, I definitely faced many challenges being a patient in Costa Rica. Although my doctors spoke some English, the nurses, receptionists, billing people, and administrators didn’t. Simple things, like making appointments, wasn’t so easy with my mid-level Spanish. Complicated things, like communicating with the nurse while in active labor, was a real struggle. Negotiating the emergency room after my young son had lodged an almond-sized guanabana seed in his nose on our fourth day in the country after was terrifying. “Medicine in Translation” became the book that brought these experiences together. The book also highlighted what turned out to be a defining metaphor: the parallel between immigration and illness. People who “emigrate” from the land of the healthy to the land of the sick have much in common with people who emigrate from one county to another. It is a new culture, with its own language, customs, and mores. Doctors are, in many respects, interpreters of the culture of medicine. I invite you to join me for these journeys with my patients. You can sample one here. Upcoming events for Medicine in Translation are listed here. 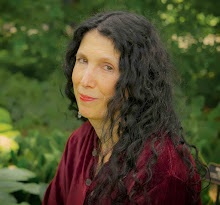 Her blog, Medicine in Translation, appears on Psychology Today’s website. Your writing is more like exquisite poetry than prose. There’s an exactness of language here. Given that precision, what is that writing process like for you? Do you start with an image, an emotion or an idea? Do you do a great deal of rewriting? Thank you for that question! I often start with an image that is charged for me in ways I don’t understand. Other times I’ll be trying to find a way into a story and a sentence will pop into my head with such force that I know it’s the beginning, even if I can’t for the life of me figure out why. After that, I’m just trying to unpack the image or the sentence. What I love about writing short stories is that I never know where they will lead me. I do revise a lot, especially for cadence, but I don’t try to redirect the narrative. What struck me so much about the collection was the importance of emotion over structured plot, which absolutely haunted me. Was that intentional? Yes. Plot is not my strong suit. For a novel, you need a plot—even Ulysses has one--but for a story, especially a very short one, you need only to establish that something is at stake. You can create drama from the composition—the juxtaposition of two sentences—or from two feelings rubbing up against each other, as well as from the action. What I loved was the dialogue, how it seems that one person will say something, but the answer is often about something else. Why do you think it’s so hard for people to have real intimacy, especially in conversation? Most of us have a pretty strong inner narrative and we often have our own agenda for a conversation. Sometimes the drama in our head is so loud that we can’t really hear what the other person is saying. For my magazine work, I’ve transcribed a lot of live interviews. People almost never respond directly to a question or to the last thing said. That’s not just politicians trying to obfuscate. It’s ordinary people genuinely trying to respond. What was different about writing this collection than your previous work, for you? Can you talk about where the idea for the collection came from? In December of 2000, my father sat down in the middle of a ballroom dance class and died. One minute he was laughing and dancing; the next minute, he was gone. After the funeral I kept telling myself that I was fine, when really I was in shock. About two weeks later, I needed to get a passport snapshot taken. When I saw that photo, it was as if I’d been sucker punched—I looked at the image of myself and thought, That is just the saddest woman. A little while later I started writing stories, all of which—no matter how I started or where I thought I might be going--ended up being about loss: sometimes death, sometimes more subtle loss, such as loss of self-concept. Some of the stories are based on my parents and grandparents; others are entirely fiction. For me, the questions rumbling underneath all the stories were: What do we do with loss? Where do we find faith? Before I finished the book, my mother died as suddenly as my father; she went to sleep one night and did not wake up. Although everything is so beautifully precise in the stories, many of the characters go by the names “the woman” or “this boy” which allows the reader to imprint an identity for them and also makes the reality of the collection a bit fluid. Would you say that it’s true that you expect your readers to meet you halfway, to make their own connections, so to speak? I do ask the reader to connect the dots. And I don’t think it matters whether the woman is named Sally or Susie or Emily. What’s important is her relation—wife, mother, daughter, sister—to the other characters. I wanted both the reality of the stories and the passage of time to feel fluid, so I am very glad it read that way to you. How much of your own Wisconsin experience (you grew up there) figures in the stories? Most of my stories are set in the Midwest—north of Milwaukee, where I grew up, and in Chicago, the Emerald City of my childhood. This is the first book I’ve written in which a few stories take place in New York or an unspecified location. I’m pretty sure everything I write is informed by where I was raised, where my parents lived, where I first heard language. The book, to me, is really about the chaos in the world and dealing with losses. People get sick mysteriously in your stories. They drown suddenly or vanish, or they die. One fable in particular, has a devastating ending. And yet, there was a kind of stubborn hope, even in the opening quote from Max Born’s The Restless Universe about visible light covering only one octave, in musical terms. Another character says “No moment is sacred and yet all of them are," which I thought was lovely, too. Even the word “adventures” in your title seems to convey this sense of possibility and hope, even in the saddest of circumstances. Was this something you knew before you began writing or was this a discovery in the writing? This was something that was very important to me from the beginning. These characters are constantly searching for hope and grappling with faith. Max Born was a Jewish physicist who escaped from Nazi Germany before the Holocaust. After WWII he revised The Restless Universe, his book about quantum physics, to account, with sadness, for the development of atomic weaponry. And yet there is his assertion that the visible world, and by extension, the material world is only a fraction of all there is. 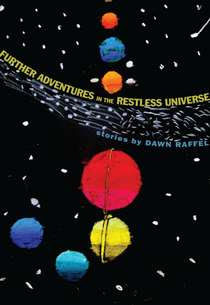 The Restless Universe was an important part of my childhood. My father was an engineer in the Army Air Corps during WWII—he was trained at both Harvard and MIT and went with the first group to Guam to set up the first-ever radar. After the war, despite some of the best training in the world, he could not get a job as an engineer because engineering was a rampantly anti-Semitic field. He ended up working in the family furniture store and spending a lot of time with his homemade ham radio and with books about engineering and physics. He loved The Restless Universe and read it with me again and again as a bedtime story. I, of course, did not understand a word of it—to me, my father was the restless universe. The final story in the book, about the death of my mother, is titled Beyond All Blessing and Song, Praise and Consolation. This is a translated line from the mourner’s Kaddish; the ancient Jewish prayer intended to be spoken by the brokenhearted. This was the only way I could say goodbye. You’ve worked in women’s magazines for years, from Redbook to O Magazine and More and now as the Books Editor for Reader's Digest. You can correct me if I’m wrong, but I believe a very different sensibility is needed for those than for your own writing. Is it difficult to switch between the two? Does one impact the other? I think one incites the other. I like the tension; it makes me challenge assumptions in both arenas. With all that you do (plus you have a family), how do you make time for your writing? And what are you working on next? I’d like to tell you that I am very disciplined and write every day but I’m not and I don’t. I write when I feel like I’m going to explode if I don’t write. At that point, a missile could be coming through the wall and I might not notice. I’ve just finished a memoir in short vignettes, and I am trying to find my way into a new novel that is being irascibly elusive. I suspect it’s going to turn into something else when I least expect it. Come take a look at artifacts in my office at the great blog LIKE FIRE. Readers might not realize (writers know this all too well) that publication of a novel begins the second you get that acceptance. That's the honeymoon phase! Everything is wonderful! You feel flush with excitement because your baby is going to go out into the world, because what you've done is going to be alive and out there. You can stop worrying for a year or so because you sold your book! Ha. No you can't. Because now comes the hard work. Next for me is the cover. I've had covers in the past that I've loved, and one that made me weep, because one publisher changed the brooding Edward Hopper-like hardcover cover I adored into something pastel and frivolous looking with a smiling guy on the cover for the paperback, when the man in question in the novel was actually coming apart at the seams. Though we went back and forth on changes we could both agree on, the final cover was one that marketing loved and that still makes me wince. I can't tell you how thankful I am that my new and beloved editor has promised me there won't be a cover I hate, and we've already talked about possible images. I'm anxious. I'm always anxious. I love these characters, I truly do. I so want them to find their way in their world and be welcomed and understood, cried about and considered, and every step forward in this publication process is filled with my hopes that they will.